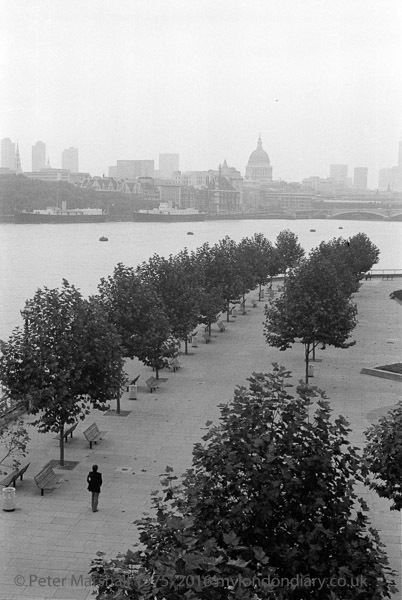 A surprisingly grainy view of a man, the only man on the Albert Embankment, contemplating the view on a slightly foggy day in London town. Through the November haze is the London skyline with St Paul's Cathedral. The trees are now noticeably larger, but this section of the skyline is still remarkably similar, with the Barbican towers at left and just one new tall building until close to the right hand edge where a number of new tall blocks have been built.